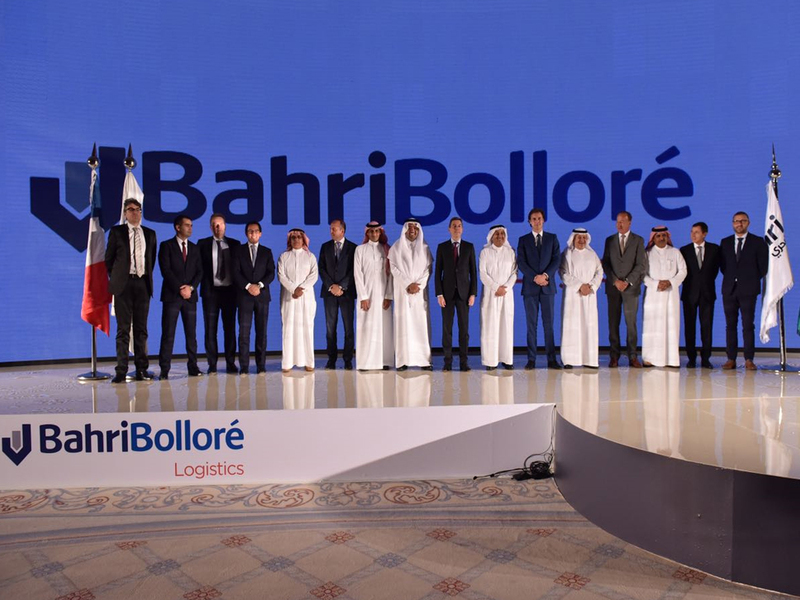 French forwarding and logistics group Bolloré officially inaugurated Bahri Bolloré Logistics, its joint venture with Saudi Arabian logistics specialist Bahri in Riyadh on 26 September. Bahri owns a 60% stake in the joint venture, while Bolloré owns the remaining 40% in the new company, which will provide end-to-end logistics and supply chain management solutions to firms operating in Saudi Arabia. To mark the occasion, Bahri Bolloré Logistics hosted a ceremony at The Ritz-Carlton, Riyadh, with Bahri chairman Abdulrahman M. Al-Mofadhi, Bolloré Transport and Logistics chairman Cyrille Bolloré and deputy head of mission at the French Embassy in Saudi Arabia, Éric Giraud-Telme, in attendance, along with other senior representatives from both companies. Cyrille Bolloré said the new company would work in key sectors especially aerospace, defence, oil and gas, fashion and healthcare.